Oldukça uzun bir teaser maratonunun ardından yeni Skoda Kamiq nihayet tanıtıldı. Karoq ve Kodiaq’dan oldukça farklı görünen otomobil, Volkswagen’in T-Cross ile yaptığı gibi genç müşterileri çekmeyi amaçlıyor. Ağabeyleri kadar keskin bir tasarıma sahip olan otomobilin ön far düzeninde ise değişikliğe gidilmiş. Üstte yer alan dört parçalı ince gündüz farı, aynı zamanda sinyal lambası olarak da görev yapıyor. Bir Skoda modelinde ilk kez yer alacak kayan sinyal düzenine sahip arka farlar da otomobile üst düzey bir hava katıyor. Daha önce ortaya çıkan tasarım eskizleri yeni Kamiq’in devasa jantlara sahip olacağını gösterse de gerçek hayatta otomobilin jantları 18 inçlik bir boyuta sahip. 4.24 metre uzunluğa sahip crossover modeli, 400 litrelik bir bagaj hacmi sunuyor. Arka koltuklar kapandığında ise hacim 1,395 litreye kadar çıkıyor. Otomobilin kabini büyük ölçüde kompakt hatchback modeli Scala’dan alındığı için bu konuda anlatılacak çok bir şey yok. Üst modellerin tamamen dijital 10.25 inçlik bir gösterge paneli ile geleceği tahmin edilirken, bilgi eğlence sisteminin dokunmatik ekranlarının 6.5, 8 ve 9.2 inç seçenekleriyle sunulacağı biliniyor. Yeni Kamiq, şeritte tutma asistanı, adaptif hız sabitleyici ve otomatik frenleme gibi bazı asistan teknolojiler de sunuyor. Otomobilin motor seçenekleri arasında, 115 bg üreten 1.0 litrelik üç silindirli benzinli motor ve 150 beygir güçlük 1.5 litrelik dört silindirli benzinli ünitenin yanı sıra 1.6 litrelik 115 bg’lik bir dizel motor yer alıyor. Ayrıca yelpazede doğalgazla çalışan bir ünite daha sunuluyor. Yalnızca ön tekerlekten çekiş sistemiyle sunulan araçta DSG şanzıman opsiyonel olarak tercih edilebiliyor. Skoda Kamiq’in önümüzdeki hafta düzenlenecek Cenevre Otomobil Fuarı’nda görücüye çıkması ve bu yılın ilerleyen aylarında da satışa sunulması bekleniyor. Mladá Boleslav, 26 February 2019 – ŠKODA is adding a third model to its European SUV portfolio: the ŠKODA KAMIQ. As with the successful ŠKODA KODIAQ and KAROQ, the name KAMIQ also originates from the language of the Inuit people who live in northern Canada and Greenland: it means something that fits perfectly. Sitting in the growing city SUV segment, the ŠKODA KAMIQ perfectly combines the advantages of a sport utility vehicle – such as higher ground clearance and a comfortable seating position – with the agility of a compact car. With an emotive design, state-of-the-art assistance and infotainment systems, a generous amount of space and numerous Simply Clever features, the new KAMIQ equally fulfils the needs of both family- and lifestyle-oriented customers. The ŠKODA KAMIQ continues the successful SUV design language from the KODIAQ and the KAROQ and comes with new visual highlights such as the split headlights featuring the daytime running lights above the main headlights. The city SUV is based on the modular transverse matrix (MQB) and, with a length of 4,241 mm, offers the ŠKODA-typical generous amount of space. Modern assistance systems, environmentally friendly and efficient drive systems, the latest infotainment systems and state-of-the-art connectivity solutions ensure the ŠKODA KAMIQ perfectly fulfils the requirements of modern individual mobility – all whilst further consolidating the emotiveness of the ŠKODA brand. The name KAMIQ continues the already familiar nomenclature of ŠKODA SUV models. The names of the larger models, the ŠKODA KAROQ and ŠKODA KODIAQ, both also start with the letter K and end in a Q. “With the expansion of our SUV family, we have not only focused on a uniform design language, the clear line of the names containing a K and a Q also accentuates the coherence and has a high recognition value. In the language of the Inuit, KAMIQ embodies something in which you feel comfortable in any situation and that has its own character. That suits this car perfectly,” explained Alain Favey, ŠKODA AUTO Board Member for Sales and Marketing. With the KAMIQ, ŠKODA is tapping into a new, younger target group that pursues a modern, adventure-oriented lifestyle in the increasingly popular city SUV segment. Apart from a car’s off-road appearance, a high level of efficiency is especially important in this segment and the KAMIQ is therefore exclusively available with front-wheel drive. The front of the new ŠKODA KAMIQ is characterised by a wide radiator grille with double slats and distinct lines on the bonnet. 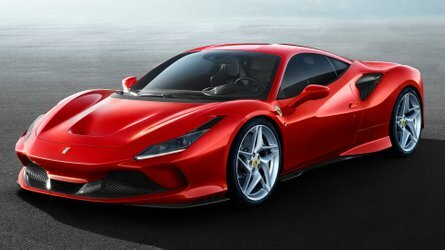 The rugged front spoiler emphasises the car’s off-road character. The compact side view, with large wheels measuring 16 to 18 inches and an elevated bonnet, appears robust and dynamic; the roof line and high ground clearance reinforce this impression. The side view presents balanced proportions and a timeless design, combined with a dynamic and sporty look. The rear features a new interpretation of the ŠKODA-typical ‘C’ shape of the lights. A diffuser accentuates the car’s generous ground clearance and powerful appearance. “With the ŠKODA KAMIQ, we have rigorously advanced our successful SUV design language and come up with a car that is very powerful and emotive, despite its compact dimensions. The KAMIQ is immediately recognisable as a member of the ŠKODA SUV family thanks to its large, upright radiator grille, the distinct lines on the bonnet and the crystalline headlights. 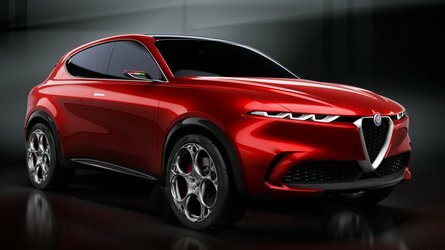 However, new highlights such as the daytime running lights above the headlights further reiterate an independent and unique identity,” explained Oliver Stefani, Head of ŠKODA Design. The new ŠKODA SUV is the brand’s first model to feature split LED headlights with daytime running lights that, in the full-LED version, appear like four gemstones above the main headlights. Three‑dimensional and crystalline effects as well as LED units that look like glistening jewels add to the sophisticated appearance. The full-LED version also features fog lights with static cornering lights as well as – for the first time in a ŠKODA – dynamic front and rear indicators. The front indicators are divided into individual LEDs. When the driver turns the indicators on, they flash outwards in a sweeping motion. The KAMIQ is the Czech brand’s second model featuring the new interior concept. Its interior is dominated by the free-standing screen which is ideally positioned in the driver’s field of view and, at 9.2 inches, the biggest in its segment. A character line echoes the lines on the bonnet. It also forms an ergonomic hand rest below the display for operating the touchscreen. Measuring 10.25 inches, the optional Virtual Cockpit is also amongst the largest displays in the segment. The redesigned instrument panel continues the emotive design language of the exterior. The side air vents extend into the doors, visually enhancing the spacious feel of the KAMIQ. The dashboard, with its new, extensive decorative elements, and the front door trims feature a high‑quality, soft-foam surface with a new specific texture resembling crystalline structures. This will also shape the ŠKODA brand’s style in future. The ambient lighting, available in the three colours white red and copper, also helps to provide a pleasant feeling of spaciousness. These add a visual highlight to the shades and coloured contrasting stitching on the seat covers. As an option, the seat covers are available in Suedia microfibre. The interior of the new ŠKODA SUV impresses not only with its amount of space but also with its comfort options that are otherwise only seen in higher vehicle segments. These include a heated steering wheel and heated windscreen. The KAMIQ also offers heated seats, not only for the two front seats but also as an option for the outer seats in the back. 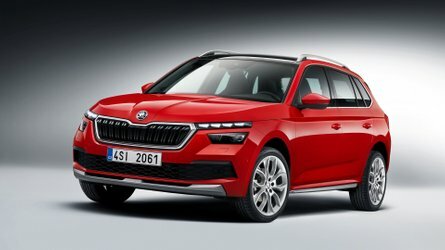 The new ŠKODA KAMIQ is 4,241 mm long and 1,793 mm wide, and has a height of 1,531 mm. The wheelbase measures 2,651 mm. This is especially beneficial for the rear passengers who can enjoy 73 mm of knee room. The boot has a capacity of 400 l, which increases to 1,395 l when the rear seats are folded down. As an optional extra, the front passenger’s seat back can also be folded down, allowing longer items up to 2,447 mm to be transported with ease. All of the ŠKODA KAMIQ’s engines are direct-injection units with turbochargers. They come with brake energy recovery as well as Stop/Start technology and comply with the currently strictest Euro 6d‑TEMP emissions standard. 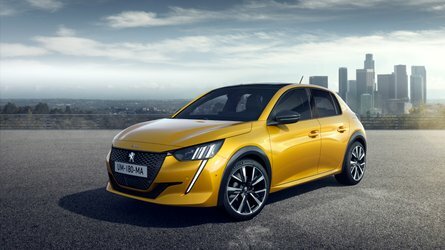 The entry-level engine is a 1.0 TSI delivering 70 kW (95 PS). From its cylinder capacity of 1.0 l, this three-cylinder model produces maximum torque of 175 Nm and features a manual 5-speed gearbox. The 1.0 TSI with a power output of 85 kW (115 PS) comes with a 6-speed gearbox as standard, but can be fitted with a 7-speed DSG as an option, and generates torque of 200 Nm. The top-end engine is the four-cylinder 1.5 TSI with a power output of 110 kW (150 PS) and maximum torque of 250 Nm. Its Active Cylinder Technology (ACT) automatically shuts down two cylinders when the load is light, thus saving on fuel. This engine is also available with a 7-speed DSG as an alternative to the manual 6-speed gearbox. All three petrol engines are equipped with a petrol particulate filter. The four-cylinder 1.6 TDI diesel engine delivering 85 kW (115 PS) also offers torque of 250 Nm; it is fitted with an SCR catalytic converter with AdBlue injection and a diesel particulate filter as standard. This efficient diesel engine is coupled with a 6-speed manual gearbox as standard; a 7-speed DSG is available as an option. With 37 mm more ground clearance than the new compact car, the ŠKODA SCALA, the ŠKODA KAMIQ’s chassis combines the advantages of an SUV with the agile handling of a compact car. Sport Chassis Control allows for an even more dynamic set-up. This optional sporty chassis is 10 mm lower and, in addition to the Normal mode, also has a Sport mode with firmer characteristics for the shock absorbers that feature adjustable valves. Drivers can configure the two chassis settings in the menu for Driving Mode Select, which comes in combination with Sport Chassis Control. Driving Mode Select offers a choice of four modes: Normal, Sport, Eco and Individual. As an optional extra, underbody protection is available for those who also like to venture off‑road. The ŠKODA KAMIQ offers state-of-the-art safety systems – Front Assist and Lane Assist are already available as standard. Front Assist, which includes City Emergency Brake and Predictive Pedestrian Protection, monitors the area in front of the car while driving in the city, thereby helping to prevent accidents. Using a camera, Lane Assist recognises lane markings and helps the driver to keep the car in lane. At speeds of up to 130 mph on motorways, the optional Adaptive Cruise Control (ACC) automatically adjusts the speed of the car to that of vehicles ahead. This takes the strain off the driver and further improves safety. In combination with DSG, the system can even brake the ŠKODA KAMIQ until it stops and have it pull away again automatically in up to three seconds. The optional Driver Alert fatigue detection system emits a warning as soon as it registers that the driver’s concentration is waning. The level of safety can be increased further with additional optional systems. If the ŠKODA KAMIQ’s sensors detect an impending collision, the optional proactive Crew Protect Assist quickly closes any open windows and pre-tensions the front seat belts. Up to nine airbags, including a knee airbag and side airbags for the rear seats, protect the passengers in the case of a collision. Following an accident, the Multi-Collision Brake prevents the vehicle from rolling any further in an uncontrolled manner. Many modern assistance systems prevent accidents and ensure a high level of active safety in the ŠKODA KAMIQ. The optional Side Assist can detect vehicles that are up to 70 m away and wanting to overtake or that are in the car’s blind spot, and thus also effectively assists the driver on motorways and dual carriageways. To do this, it uses two radar systems in the rear and alerts the driver using light signals on the inner edge of the wing mirror, where the driver will notice them intuitively. Rear Traffic Alert warns the driver about objects moving behind the vehicle when reversing. This is a key function of Side Assist. The optional rear-view camera and Park Assist, which automatically manoeuvres the ŠKODA KAMIQ into and out of parallel and bay parking spaces, lend the driver a hand when parking. The integrated Manoeuvre Assist function automatically brakes the city SUV if the sensors detect an obstacle in front of or behind the car during parking. Auto Light Assist is also available as an option. This uses a camera to detect oncoming traffic as well as vehicles travelling ahead of the KAMIQ, and automatically dips the headlights. Three infotainment systems are available for the new ŠKODA KAMIQ. The top-of-the-range Amundsen infotainment system comes with a free-standing 9.2-inch touchscreen that is positioned up high, in clear view of the driver. This screen ranks amongst the largest within the segment. And so does the KAMIQ’s 10.25-inch Virtual Cockpit with a choice of five different display layouts – Classic, Basic, Modern, Sport and Extended. Even the Bolero infotainment system comes with an 8-inch display and the entry-level Swing system features a 6.5-inch screen and four speakers in the front. Bolero and Amundsen come with eight speakers; the optional 405-watt ŠKODA Sound System has ten speakers. “The ŠKODA KAMIQ is equipped with the all-new generation of our infotainment systems. It is always online and the infotainment apps offer the most recent ŠKODA Connect online services. This makes it the perfect match for a young, online-oriented target group for city SUVs,” said Christian Strube, ŠKODA AUTO Board Member for Technical Development. The permanent Internet connection provides the KAMIQ with eCall, which communicates information such as the car’s location and status in the event of an accident, and Proactive Service, which stays in contact with the garage to coordinate service appointments. The car’s high degree of connectivity also enables remote vehicle access via the ŠKODA Connect app or web portal. This feature allows owners to lock and unlock their car or check whether all of its windows are closed – all from a distance. In addition, car owners can conveniently call up information while on the go or, for example, from the comfort of their own living room, and find out how much fuel is left in the tank. Other vehicle and driving data such as the car’s mileage or the speeds it has travelled at can also be accessed. Infotainment apps, available in the Shop that can be installed to the Amundsen infotainment system, provide access to further in-car services. Using the News app for example, KAMIQ owners can subscribe to news feeds; the Weather app covers all of Europe. Online Traffic Information provides more accurate estimates for route and journey times; traffic jams and alternative routes are updated in real time. Online data also feeds the display of available parking spaces and current fuel prices as well as the voice control feature which also understands entire sentences and dialects through the use of the ŠKODA server. In the Shop, customers can select additional data plans, for example to provide passengers with a data allowance via a Wi-Fi hotspot. No additional costs are incurred or further trips to the garage required, as the navigation system’s maps are updated automatically, ‘over the air’. Overall, the ŠKODA KAMIQ offers more than twenty Simply Clever features. The KAMIQ is the first car in its segment to offer the option of clever door-edge protection that deploys automatically when the doors are opened. This system prevents damage to the KAMIQ as well as nearby vehicles, particularly in tight parking spaces in the city. The optional electric tailgate proves to be another convenient feature when loading a weekly shop for example. The tailgate can be opened and closed at the push of a button; thanks to its integrated tip-to-close function, it can also be closed by lightly pulling on the open tailgate. From the Ambition trim level upwards, a removable LED torch can be found on the side in the boot. The button to electrically unlock the retractable tow bar can also be found in the boot.